A truly Futuristic powder blush that smoothes and perfects skin with a natural finish that leaves the complexion warm and gently glowing. Unprecedented comfort and adherence result in the most advanced powder of its kind. Light, yet creamy to the touch, this translucent powder offers optimal adherence. Enriched with actives to preserve skin elasticity. 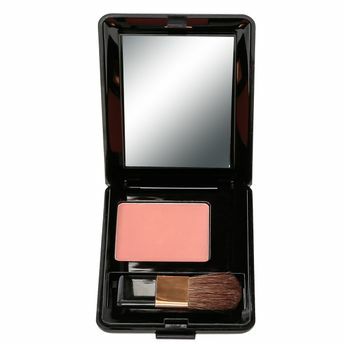 Rich in fatty acids, this powder blush improves skin hydrolipidic barrier. Presented in a Luxury slim case with full size mirror. Additional Information: Eleanor luxury color collection has been created by the most advanced laboratories in Italy to bring you the finest quality of color cosmetics from Europe. Eleanor makeup suits women of all skin types & tones, and the full makeup range for face, eyes, lips and nails has everything you need to take you from day into night for any occasion. All products are Dermatologist & Ophthalmologist tested, and not tested on animals. Eleanor products are made in Italy. Explore the entire range of Blush available on Nykaa. Shop more Eleanor products here.You can browse through the complete world of Eleanor Blush .Alternatively, you can also find many more products from the Eleanor Powder Blush range.